Some coworkers and I took advantage of the build-your-own sandwich option at bleu. 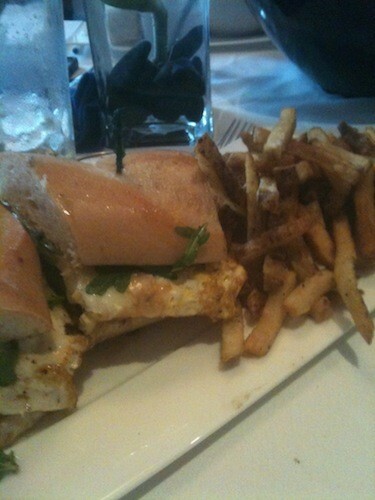 Great sandwich. Enough for two servings. 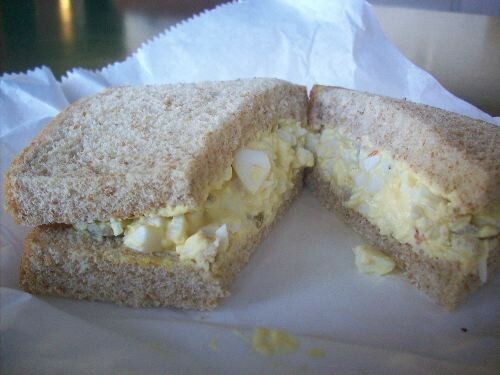 Last Monday at lunchtime, I lucked into a parking place just a block away from Front St. Deli and I was thinking about that egg salad sandwich ($3.95) I was going to order. My reverie was interrupted briefly when I thought to myself, They don't take cards, do they? And then I assured myself that, Of course, everybody takes a credit or debit card. 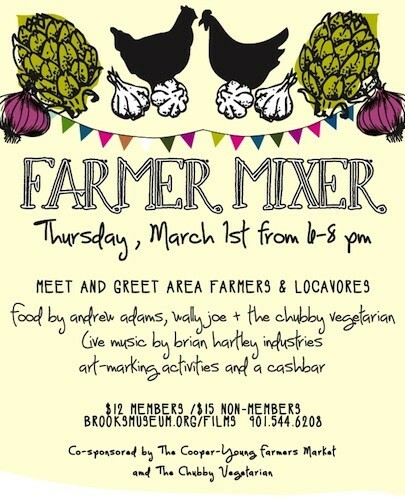 On Thursday, March 1st, 6-8 p.m., the Memphis Brooks Museum of Art is holding a Farmer Mixer, a meet-and-greet featuring area farmers, locavores, and gardeners. The event is co-hosted by the Cooper-Young Community Farmers Market and The Chubby Vegetarian, the gorgeous local vegetarian blog by husband and wife team Justin Fox Burks and Amy Lawrence. Tickets for the event ($12 members, $15 nonmembers) will include food — vegetarian small plates created by the Brushmarks'/Acre's Wally Joe and Andrew Adams and Justin Fox Burks. I spoke with Justin yesterday just after he had a meeting with Andrew to the plan the menu. Justin shared his notes, and while this may not be exactly what's served at the event, it does reflect the direction they're going. 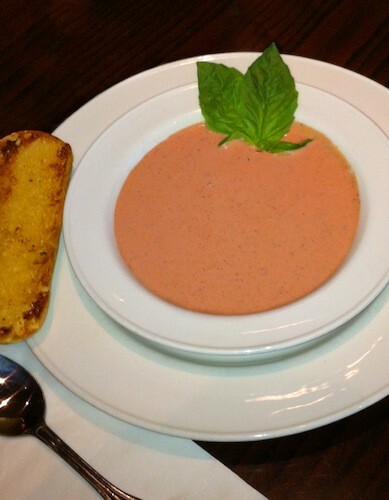 Hard Rock Cafe Memphis' Tomato Basil Soup won the Best Soup prize at last Sunday's annual Soup Sunday fund-raiser for Youth Villages. To celebrate the win, based on votes of the event's attendees, the restaurant is adding the soup to the menu for this week only. Fifty percent of the sales of the $5 bowl will go directly to Youth Villages. 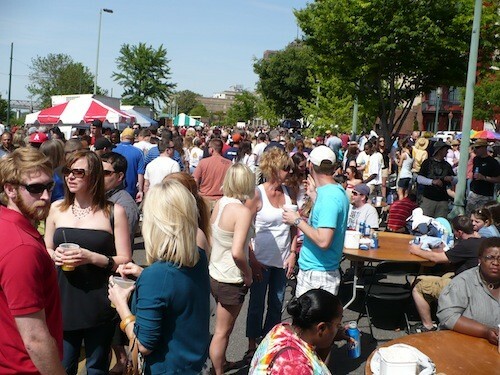 Fans of crawfish and elbow room have reason to rejoice: There will be more space for tail-pinching/head-sucking/whatnot during this year's Porter-Leath's annual Rajun Cajun Crawfish Festival. Pending permit approval, Riverside Drive will be closed between Union and Beale. Rob Hughes of Porter-Leath estimates adding this area to the Wagner-Riverside spot will expand the festival as much as 25 percent. I had heard reports that service at the newly opened Crazy Noodle was erratic. Five or so weeks in, it seems those issues have been worked out. In fact, our waitress was attentive and more than willing to accommodate requests. 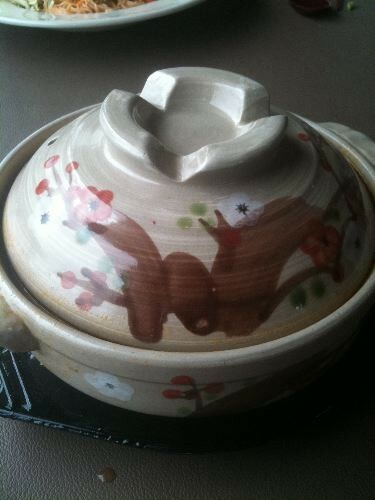 The waitress even brought out a stack of extra napkins in case I spilled my Vegetable Noodle Soup ($8.99), which came in this pretty pot. Finard Properties issued a press release this morning announcing plans to create "a new, larger, state of the art Kroger building" at Poplar Plaza. From start to finish the project will take approximately eighteen months and will involve the demolition of two buildings on Prescott Street as well as the construction of a new, larger, state of the art Kroger building. Nine current tenants will be relocated in order to prepare the two Prescott Street buildings for the scheduled March demolition. Following that phase, the new 86,500 square foot Kroger will be constructed on the site. 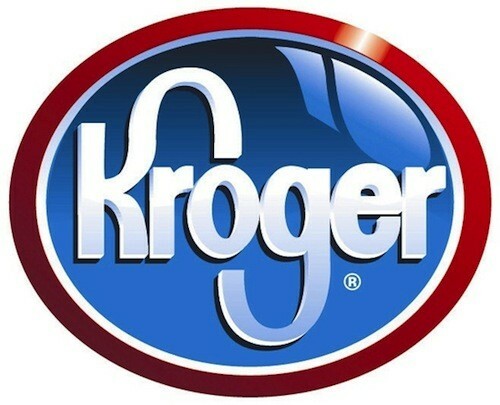 Kroger will continue to operate in their current building throughout the entire process until the Grand Opening in the new space, scheduled for late summer 2013. The last phase of the project will be the demolition of the old Kroger building to make space for additional parking. 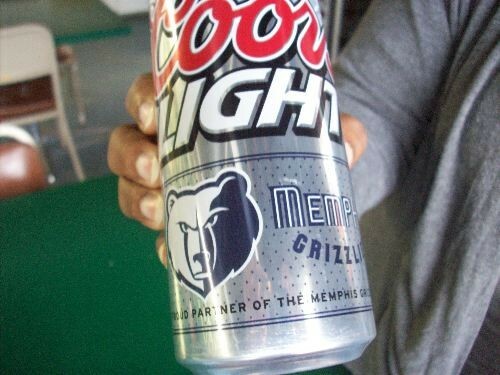 Cannot wait to pop open this Memphis Grizzlies-tagged Coors Light tall boy. 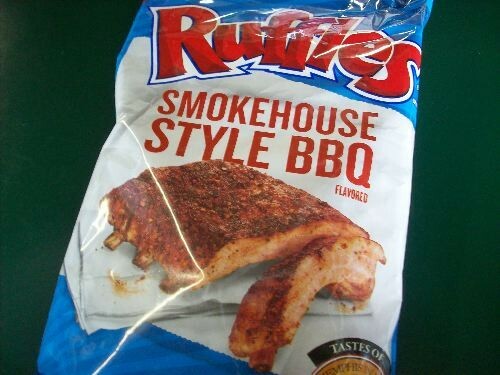 What a great way to wash down these Memphis in May bbq Ruffles. Over at The Bruce V Blog, Bruce considers the phenomenon of snow-day milk-buying. No milk for this guy, no sir. He'd buy pizza, chocolate, and red wine. I'm thinking a lot of people stock up on cocoa for snowy days. But, for those who aren't into chocolate (is there such a soul? 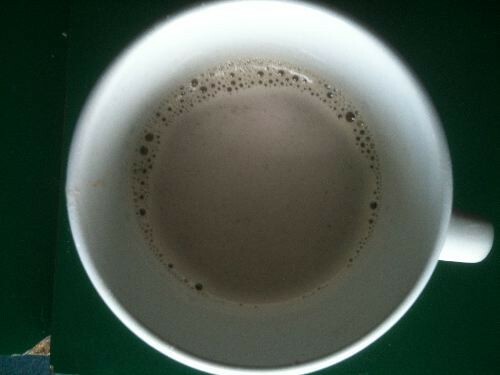 ), there's always Ugly Mug's Vanilla Chai. On Friday at noon, Dr. Michael O. Minor will give a free and open to the public talk "Faith-based Initiatives to Promote Healthy Eating" at the Urban Child Institute. 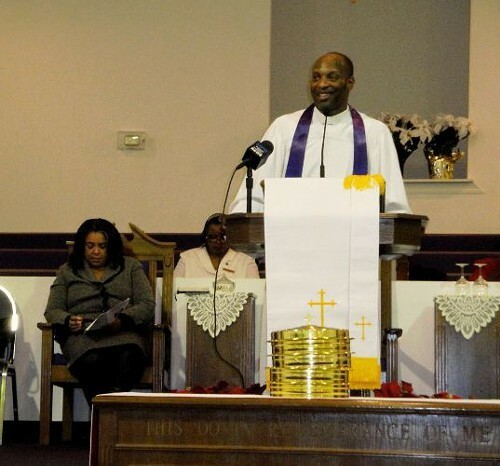 Minor, an undershepherd at Oak Hill Baptist Church in Hernando, MS, is famously known as "the pastor who banned fried chicken at this church." But as Minor notes, this sobriquet came about by accident. 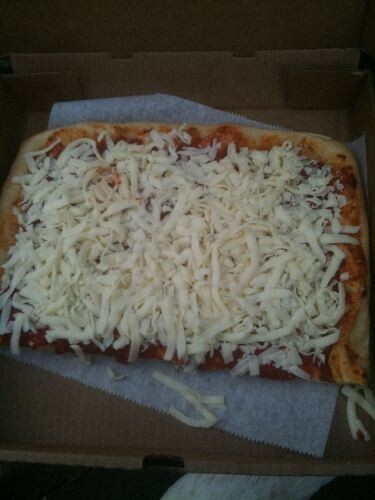 Did you know that Sharon's Chocolates & Bread Cafe offers a take and bake option for all its pizzas? 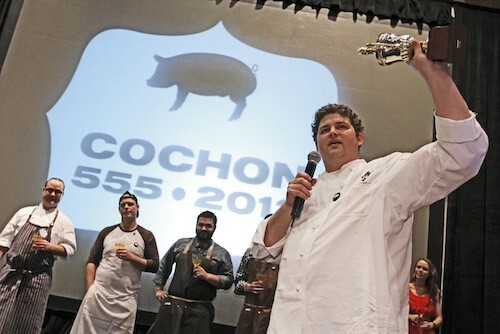 Kelly English takes the trophy at Saturday's Cochon 555. Kelly English of Restaurant Iris swined and dined his way into judges' and audience members' hearts last night, taking home Memphis' Cochon 555 crown and securing his spot in the Grand Cochon competition in June. 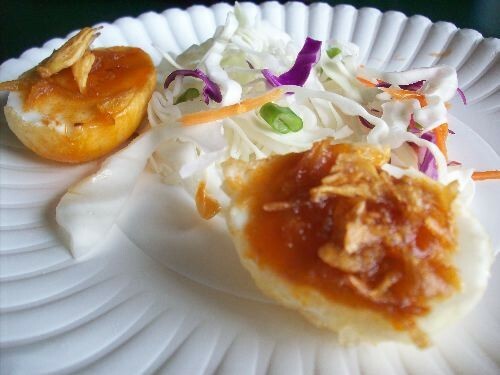 His menu was served up in elegant picnic baskets and displayed the kind of culinary ingenuity and passion for pork that judges were looking for.